The Treeing Tennessee Brindle is a cur breed. Curs are generally multipurpose farm dogs, used for working with livestock, for hunting and other tasks. When on the hunt it works as a treeing dog, meaning it was developed to track it's prey and then force the animal into a tree. Once it is treed the dog will continue to bark until the hunter makes the kill or the dog is called off. They can hunt a wide variety of prey including raccoon, squirrel, bear, bobcat and puma. 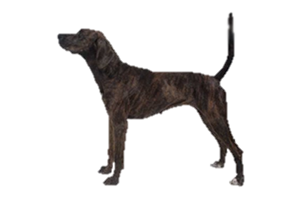 The original stock for the Treeing Tennessee Brindle was simply made up of brindled colored treeing dogs throughout the country. Reverend Earl Phillips of Illinois was the one that established the breed, beginning with dogs he found in North Carolina, Virginia, Kentucky, Tennessee and Georgia. Is the Treeing Tennessee Brindle Right for You?